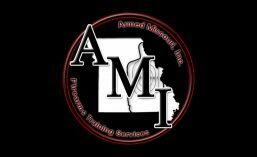 An Instructor is Not a Beaver | Armed Missouri, Inc. I have personally taken training classes from about fifteen different instructors since I first began my journey as a firearms instructor and I have at least three new ones in my sights for the not-too-distant future. This doesn’t count any instruction I may have had before I became an instructor. This wide range of curricula and personalities has served to make me a more knowledgeable, informed, and well-rounded shooter and instructor. Most of the time I have seen wonderful examples of what to do and, on rare occasion, I have seen good examples of what not to do. I have also made connections with several well-known and respected instructors through social media and, even though it’s not practical for me to travel to them for a class, I have learned a lot just by reading their posts, blogs, and engaging them in conversation. Just as I hope that some may learn from the posts, blogs, and online conversations with those in my training organization. Despite that, I have recently experienced a situation in which a person expressed great resistance to the mere suggestion that they take training from an instructor other than the one with which they are most familiar. I was a bit surprised by the reaction. I had never even considered someone might feel this way. To me, good training is good training regardless of the instructor providing it. There may be instructors I would choose over others and some I wouldn’t choose at all but it’s just common sense to get good training from everywhere possible. Varying the instructors you learn from is probably almost as important as varying the skills you choose to learn. No single instructor has all the answers. Anyone that would claim to is a liar. Limiting yourself to a single instructor or training group will result in you having a very incomplete knowledge of self-defense. Don’t get me wrong, I want my past students to return to take additional classes with my organization but, if we’re the only ones they ever train with, they aren’t seeing the whole picture. We aren’t empty hand fighting skills instructors. We aren’t knife fighting or improvised weapon instructors. We don’t teach first aid or the use of pepper spray. These are all skills one may consider as part of their personal self-defense plan for which we lack the necessary expertise to teach. We choose to provide our facility for other instructors that do teach these kinds of skills so we can offer them to those we know. Every instructor has his or her own limitations. Those that try to learn everything so they can fill every need a student may have usually aren’t good at teaching anything because they have spread themselves too thin. Those that find what they are passionate about and focus on that one topic usually become very good at teaching it but they lack in the ability to teach other skills. An instructor is not a beaver and neither are you. There’s no need to mate for life. A reputable instructor should never imply that you should only take training from them and they certainly shouldn’t get upset if you do. They should be encouraging you to seek out good training regardless of the instructor that teaches it. Improvement generally requires a challenge. Challenge yourself by stepping out of your comfort zone and seeking instruction from a new instructor sometime in the next year. This entry was posted in Defensive Mindset, Firearms Training and tagged Firearms Training, Instructors. Bookmark the permalink. ← Why Don’t You Take a Class?